APRS 5th Class Entrance Test 2019, Apply online for APRCET 2019: APRS 5th Class Admission Test 2019 Notification, APRCET 5th class admissions, APRS V class entrance test 2019, Online application form, last date for apply, entrance exam date, hall tickets, results, certificate verification, selection procedure, scheme of exam and more details are given here. So, candidate can apply online on https://aprjdc.apcfss.in/. 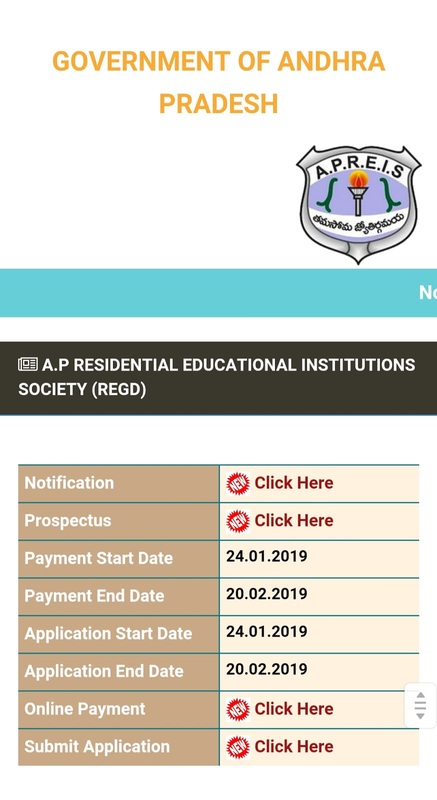 Andhra Pradesh Educational Institutions Society(APREIS) has issued the APRS 5th Class Admission Test 2019 Notification for admissions into 5th class in Andhra Pradesh Residential Schools in the AP State for the academic year 2019-2020. The APREIS invites online applications from the eligible students in the AP State for admission into 5th class in its AP Residential Schools. 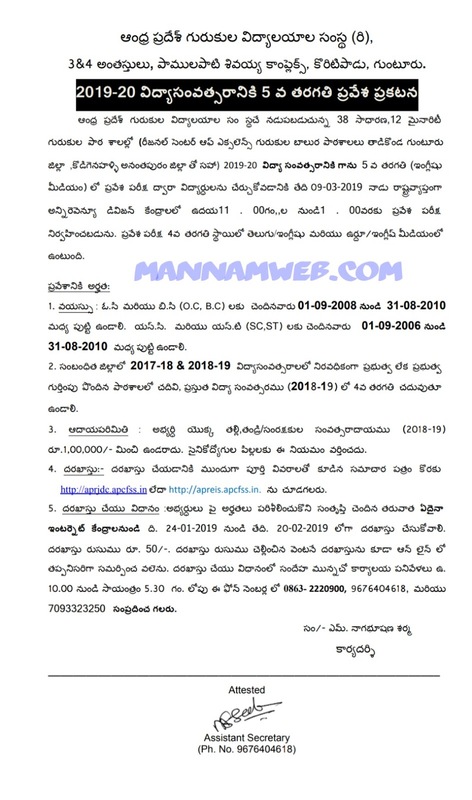 APRS 5th Class Admission/ Entrance test 2019, APREIS APRS CET 2019, APRS Admissions 2019, AP Residential School Notification 2019-2020 details as follows..
SC and ST students have born between 01/09/2006 to 31/08/2010. OC and BC students should have born 01/09/2008 to 31/08/2010. The Students should be a bonafide of Class IV during the academic year 2018-19 in any Government School or any recognized school of Andhra Pradesh. The Parental income for the year 2018-2019 should not exceed Rs.1,00,000/- per annum. Selections of the process through APRSCET (APRS 5th Class Common Entrance Test).